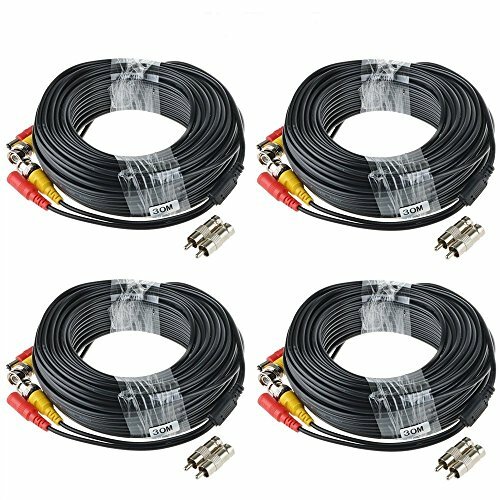 Brand New 100FT Black Video Power Cable BNC RCA Wire for DVR CCTV Security Surveillance Camera Cord. Our Pre-made CCTV security camera cables are a great choice for home or business security camera installations. There is no need for any tools or materials! Simply run your premade CCTV cables and plug both ends to your security cameras, DVR, and power supply. The female power connector on this cable is designed to plug directly into the male power connectors located on security cameras and the power transformers. Great for easy Plug and Play security camera installations!